Last weekend, I got to go to Nashville to hang out with my best gals, Emily and Michelle. The three of us met and became fast friends about five years ago, back when we all lived in Austin. Now we all live in different places — Emily is in Nashville, I’m in Abilene, Michelle is in Austin — but that doesn’t stop us! Our friendship has grown even stronger since we’ve moved away, and we make these little visits a top priority. This was a particularly special trip, so settle in for a long post. Not only did I get some much needed girl time, I also got to visit two of my favorite responsible clothing makers: Elizabeth Suzann and FashionABLE. Elizabeth Suzann happened to be having a warehouse sale that weekend — no clothes were for sale, but instead they were selling off warehouse surplus and equipment, like sewing machines, pattern printers, and extra fabrics. SO COOL. I was fascinated by it all. While we were there, we also got a tour of the studio from Liz herself (eep!) and it sent me into inspiration overload. I’m not really sure how to describe it, but it deeply impacted me. If you’re ever in Nashville, and even mildly interested in clothing manufacturing, schedule a tour at Elizabeth Suzann’s studio. We also stopped by FashionABLE’s flagship store (pictured above). They are launching responsibly made denim on August 15th — this is a big deal you guys. Denim is such a staple in my wardrobe and it’s been challenging to find denim that’s both responsibly made and cute — but they nailed it! I got to try on every single pair while I was there, and I’m happy to report that they are even better than I’d hoped. Beautiful washes, fashion forward silhouettes, and excellent quality (I thought it was even better than Madewell) all at a price point around $120-$150. I can’t wait for you to see it all on launch day! The vibrancy, creativity, and do-good attitude of Nashvillians really got to me on this trip. It inspired me to bits and impacted me in ways I’m still processing through. Aaron and I love (love!) our life in Abilene. But the responsible fashion scene is bumpin’ in Nashville, and there’s a part of me that longs to be surrounded by that kind of creativity and passion on a daily basis. Yeesh! So many thoughts today, and we’re not even into the packing part! So let’s jump in. Today I’ll share what I packed, what I wore each day, plus a few spots you’ll want to visit on your next trip to Nashville. This trip was a quick one — just a little over 48 hours. I overpacked for such a short trip, but even still, I ended up with extra space in my suitcase. It came in handy, though, because I came home with a few goodies, like the fabric from the ES sale and a pair of jeans from FashionABLE. 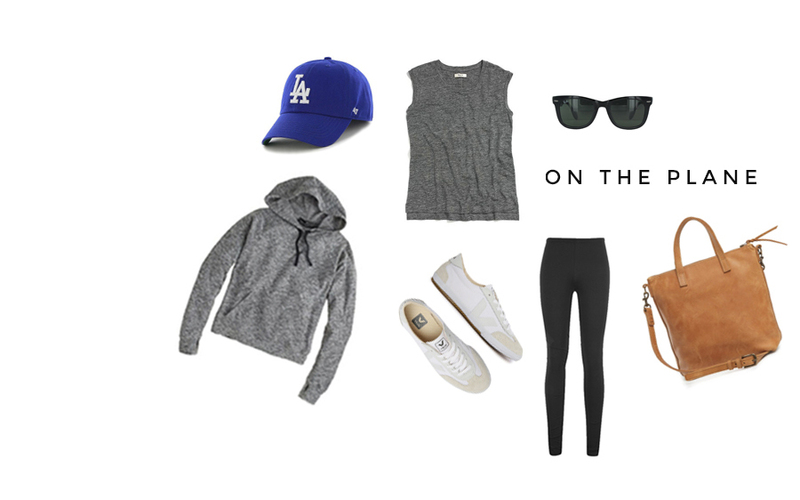 This is my favorite travel outfit to date — athleisure all the way. On the surface it’s nothing that special — a lot of grey, black, and more grey. But I just felt fantastic (and comfortable) in it. I embraced the sporty vibe with a ball cap and it created this extra layer of personal space that felt really nice in a crowded airport. I tied my hoodie around my waist to keep it handy in case I got chilly. I tied my tank in a knot at the side to give the outfit a little something extra. 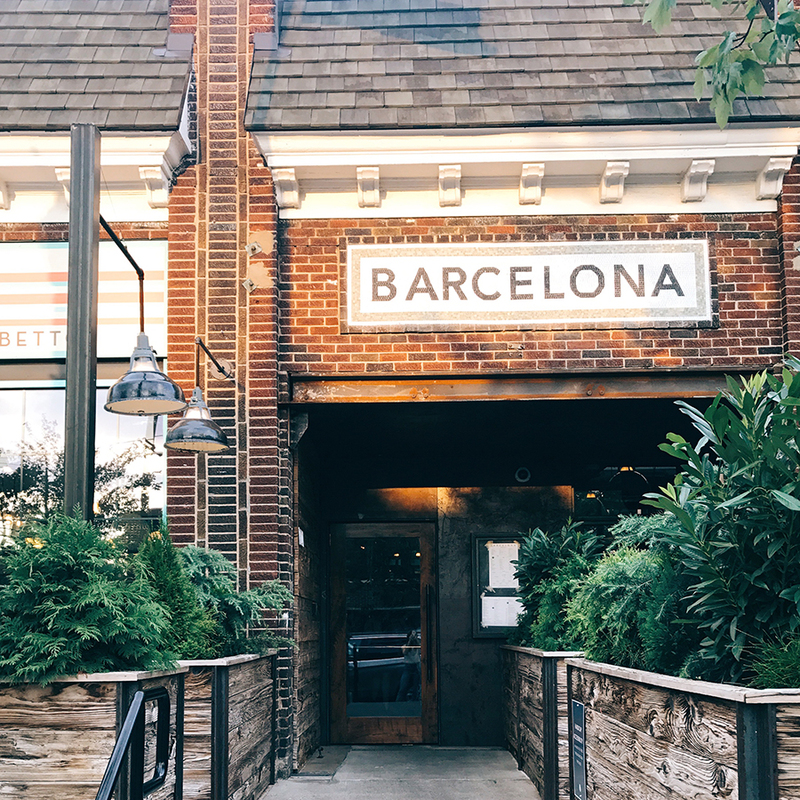 On Friday night, we had tapas for dinner at Barcelona (pictured below). If you’re drinking, make sure to order wine by the smaller “taste” portion rather than by the glass — that way you can have fun trying several different wines over the course of the meal. After dinner, we hopped over to Legato Gelato next door for an after-dinner treat. Get the stracciatella flavor — it’s kind of like an Italian chocolate chip, and yikes it’s incredible. On Saturday, we packed in all the things! We started the morning at Elizabeth Suzann, then brunched at Le Sel (pictured below). After that, we explored around the 12 South neighborhood. GO THERE. It’s such a vibrant yet relaxed part of town. We sipped iced green tea at Frothy Monkey and shopped for locally made gifts at White’s Mercantile, where I picked up this beautiful, responsibly made necklace from Half United. Then we admired the flowers at Amelia’s Flower Truck (pictured below). While exploring 12 South, we visited Imogene + Willie (pictured below). I could have lived in their store — SO my style. 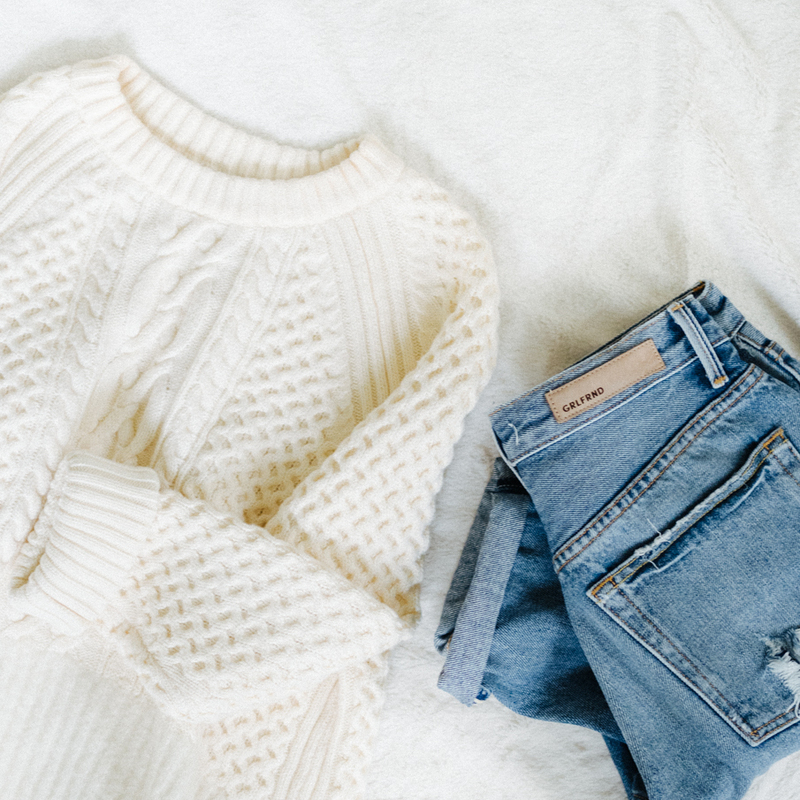 All the denim and white tees you could ask for! Later that day, we had a blast at the FashionABLE flagship store, and grabbed dinner at Burger Up. We finished off the day browsing the clean beauty goods at Lemon Laine (pictured below). Laura, the owner, was working the shop that evening and it was such a treat to chat with her. I couldn’t help but feel inspired by her passion for women and for clean beauty. 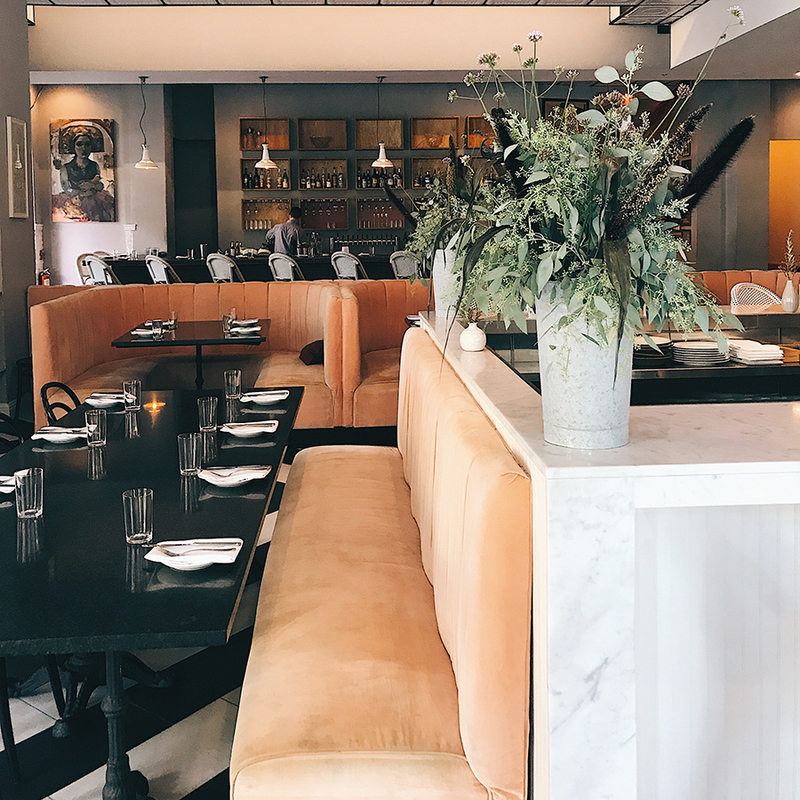 It’s such a cool spot — you can even schedule an appointment at their oil bar to have a custom facial oil made for your skin. It’s $65 and would make for a fun girl date. Anyway, I’ve been on the hunt for an organic shampoo and conditioner that add volume and I might have found a winner — the Rahua voluminous shampoo and conditioner. I haven’t tried them yet (alas, I packed in a carry on and wouldn’t have been able to bring the bottles through security). But Laura gave me a sample pack to take home, so I’ll let you know once I try it! Lemon Laine doesn’t have an online shop yet, so if you live in Nashville, make sure to visit the shop in person to support Laura and her vision — she’s a gem. After our packed day, we went back to Emily’s home ready for some serious chill time. Annnnd this was my favorite part of the trip. The three of us embraced the middle school sleepover vibe — as in, we put on PJs, green face masks, and watched The Parent Trap (the one with LL of course). And yep, that movie holds up. Even with all the fun stuff we did out and about, chill friend time still wins. 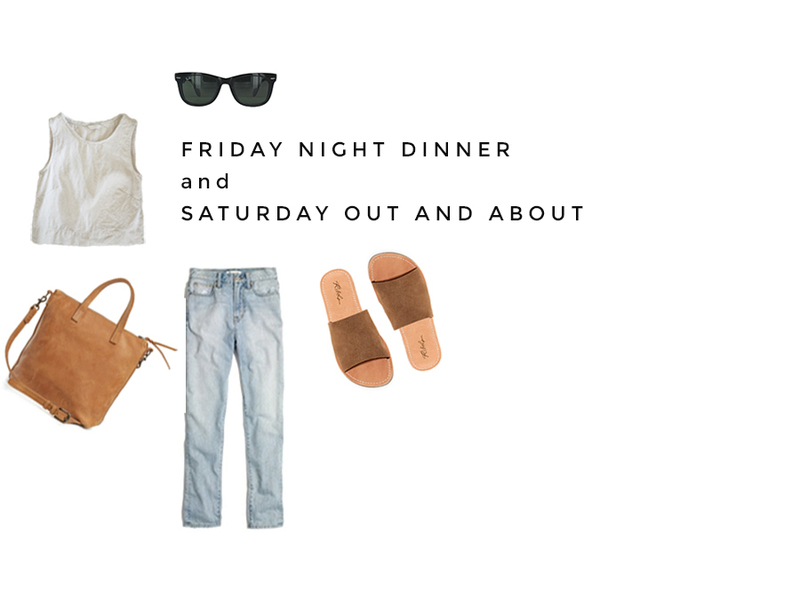 On the last day of the trip, I kept things simple and wore denim cutoffs with a silk tee knotted at the waist, plus the statement necklace I got at White’s Mercantile the day before. After brunch, we had a little picnic in Emily’s backyard (pictured below). Goodness, I love those girls. And just like that, our trip came to an end. On the way home, I wore the same thing I did on the way there — except I swapped the grey tank for my white tee. Done and done, and comfy for a day of air travel. Whew guys! Thanks for sticking with me through such a long post! This trip left me feeling more inspired than I have in a long while, and so it was special to get to share it with you a little more in-depth. So tell me, have you ever visited Nashville? Got any places I should add to my list for next time? And do you ever feel that “grass is greener” thing when it comes to where you live? How do you “water your own grass” when you feel it? Share away in the comments! I second the Olive & Sinclair Chocolate Co.! My husband and I live just a few hours from Nashville and discovered this place on our last weekend getaway. You even can go on a little tour about how they make their chocolate right there in the store! It’s awesome :) Also, for brunch/coffee check out Barista Parlor. Hope it’s helpful to you as you pull out that sewing machine! Karen, that top is beautiful and your tutorial looks like I *might* be able to do it! Thanks for sharing! Such a good tutorial, Karen. I am going to make myself sew this shirt, and I’ll do it before Christmas! It’s good for my brain to have goals like that, and I like your logic-over-rules way that you explained it for beginners like me. Welcome back, Caroline! 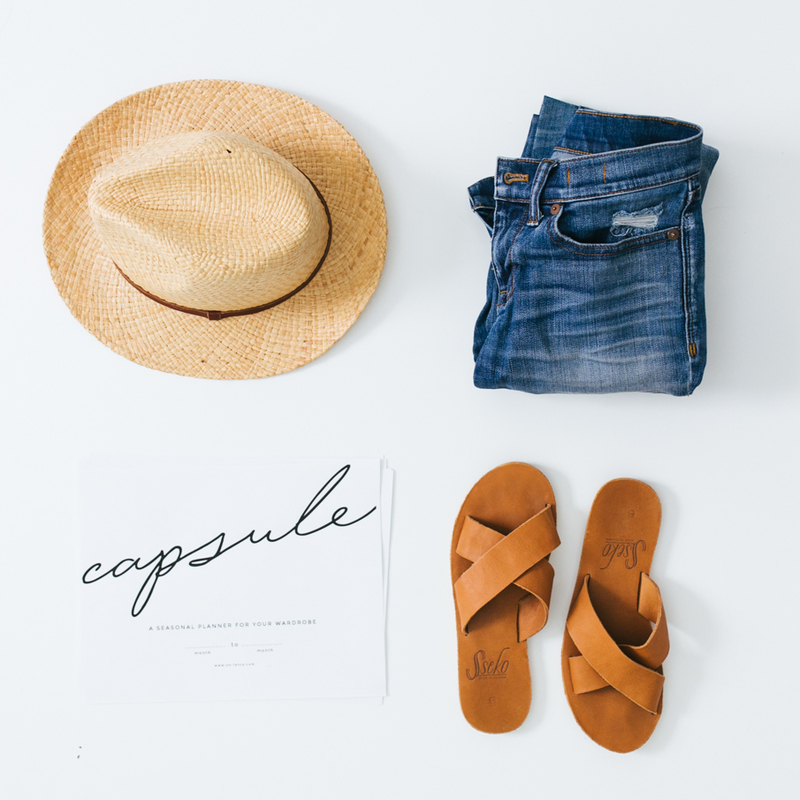 I’ve never been to Nashville, but we’re leaving for Carmel, CA in a couple of weeks and this post inspired me to start thinking about what I’ll pack. Thanks, I’m looking forward to it, but first I’m looking forward to more Caroline posts. What are you planning for the rest of August? That sounds great. Still working on my travel capsule for Carmel. It’s 80s here in Chicago and the usual 60s in August in Carmel. We’re actually headed there for a quick visit this weekend (early flight out Sat AM, late afternoon flight back Sun PM), and your post has me even more jazzed up about it! That gelato looks fantastic, and it’s not too far from our hotel. I’m really looking forward to visiting some of the local makers and doers in Nashville, like FashionABLE, Nisolo, and Ceri Hoover, as well as both of the UALs, because I sometimes need to indulge my inner deal-lover! Anyway, looks like you had a blast in Nashville, and I found your packing list really helpful weather-wise! Just found your website through a pinterest post. I’m 53,from Asheville, Excited about trying the capsule wardrobe. I really enjoyed your post about Nashville. Thanks soo much for sharing! I’m only a few hours away from Nashville, and am planning a visit all the great fashion brands they have! I’d add Jamie and the Jones to your list as well. You’re probably already well aware, but Austin has some great ethical fashion brands, and probably a close-ish road trip for you. I’d love to see Miranda Bennett and Esby clothes in person! What fun! Thanks for taking us along on your girls weekend, and for all the great suggestions. I love Nashville and have family there, so I’ll definitely check out your recommendations next time I’m there. Ooof, this post is pulling at my heart strings! I have an Emily in Austin as well, plus a Joanna in St. Louis. Our friendships grew with the distance as well, and the personal time we get together is so special. we have reunited in their cities over the past couple of years, so now it’s time for them to come see me… ;) Anyway, Nashville is less than a two hour drive for me, so I’m totally inspired to go back and visit! I’m jealous, yet also so very excited that you got to have that experience! I definitely understand the “grass is greener” feeling. my trigger is Chattanooga – it really feels like a home away from home to me. 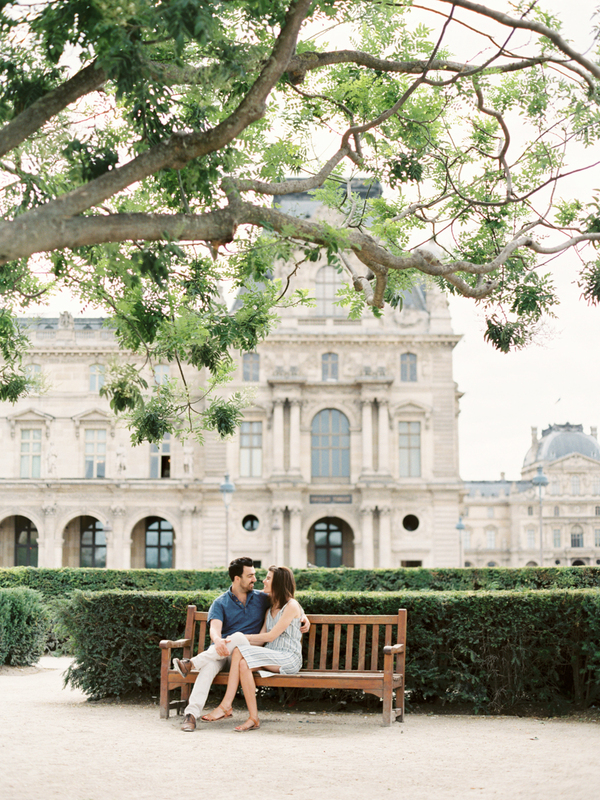 My husband and I hope to live there some day, but who knows? For now, we try to embrace our city as much as possible and enjoy the closeness of our families. Love this :) I recently found myself down about my town and the fact that it doesn’t really have anything that fits how I like my lifestyle to be. I decided to feel a similar way to your “water your own grass” and my outlook has changed big time, not to mention, I have discovered hidden gems I didn’t know about due to not having the right view about my area :) its an exciting thing! Let us know if you find a trendy little pattern for your linen material!! would love to make my own tops! Hi, Caroline. 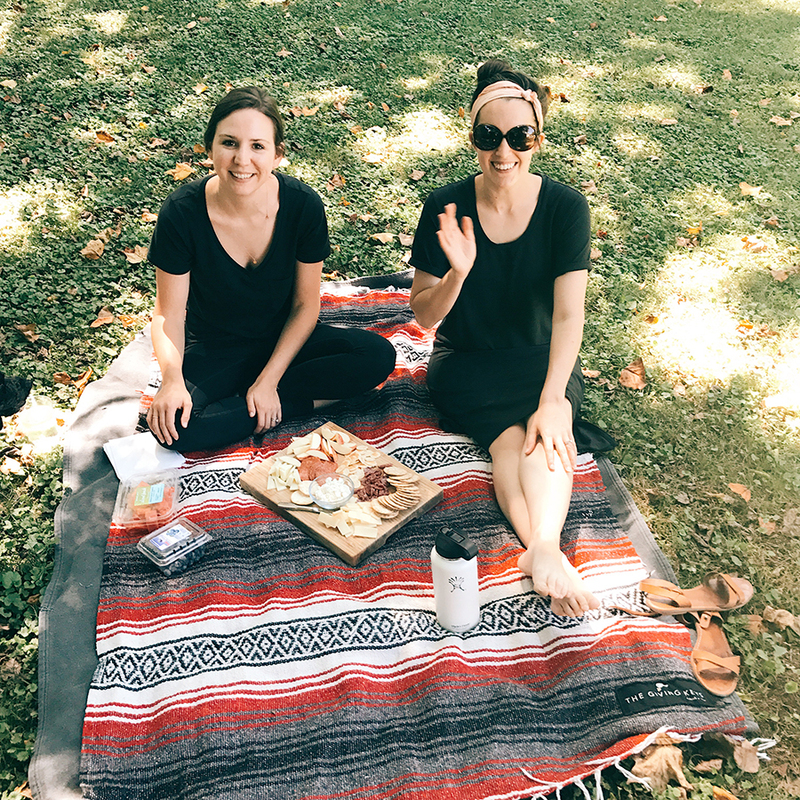 I live in Nashville – I’m so glad you enjoyed your visit! So many cool places and people here. FashionABLE is my favorite store, I really enjoyed reading your review of their new denim line. I’m excited for August 15th! Can you’ve us some more details about your experience with OV clothing? I’ve been curious about them for a long time! Loved this post! I’ve been excited for FashionABLE’s denim release ever since I saw your Instagram post. SO awesome. Just the biggest fan of theirs! How awesome! I love hearing about the fun you had and seeing the great outfits you packed and wore. One question and problem I have is about graphic tees. I see so many wonderful outfits from you and others and am always so inspired. Reading your posts reminds me how much I love simplicity and encourages me to make positive changes. In my sorting time I have a hard time getting rid of many graphic tees because I am a huge fan of graphic tees. I see you and others look so put together with a solid color shirt and love it! When I’m embracing my graphic tees I sometimes feel that others don’t take me as serious as when I am looking a bit more “put together”. I’d love to hear from you all your thoughts, tips, and if there are any other graphic tee fans out there. Another graphic-tee fan, here! I’m picky about the graphic, though, so I don’t have many. I’ve always thought a graphic tee gives a certain “cool” vibe that you cannot get with a solid color. Kind of like a leather jacket with a tulle skirt, or a blazer with jeans. 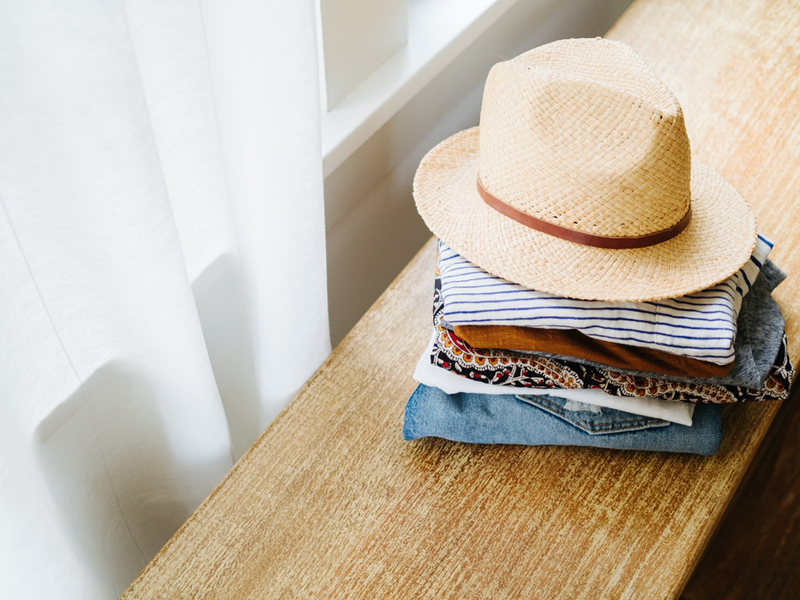 Of course, styling helps–like throwing on a scarf or using a jacket to make jeans and a tee look like an outfit…and that’s NOT going to happen during a Texas summer. Another thought, kind of along the lines of “grass is greener where I water it”: There are so many styles (home or clothing) that I adore and love to look at, but that just don’t work for me. Maybe the colors wash me out (like the current trends of faded neutrals), or the cuts aren’t comfortable on my body. Maybe a decorating idea isn’t practical for my lifestyle, or that personality trait is fun and quirky but it’s really not who I am. I’ve finally realized there will ALWAYS be things in life I’m drawn to that don’t work for me personally; and I’m slowly starting to find joy in seeing those things on someone else without needing to have them for myself. I’m not advocating against change. I think it’s wise to step out of comfort zones. But balance is also wise, and wearing what you love is always in vogue. And maybe there are times when you really need to be taken seriously (like a business meeting) and a graphic tee won’t serve you, and that’s okay to embrace, too. Thanks for sharing your thoughts, they are very encouraging. I may just have to become ruthless about purging some of my tees. This year I have become more picky about what kind I buy (material, neck, etc.) which has helped me accumulate less. You are right on about the jacket and outfit look not always being a possibility! You were also spot on about how sometimes styles really appeal to you but are not really an accurate representation of who you are. Even though I love my graphic tees it is okay to evolve into different styles and explore a little out of my current comfort zone. You gave me a bit more to consider, thanks! They seem like they were probably cute and functional outfits, but it would be more helpful/interesting to see photos of you actually wearing them, rather than the individual pieces Photoshopped together. This was by far my favorite post of yours! I loved the mix of packing, outfits, great links to great companies and products, your personal touch/experience and the travel tips. Now I want to plan a trip there too! Thank you for sharing all you do. 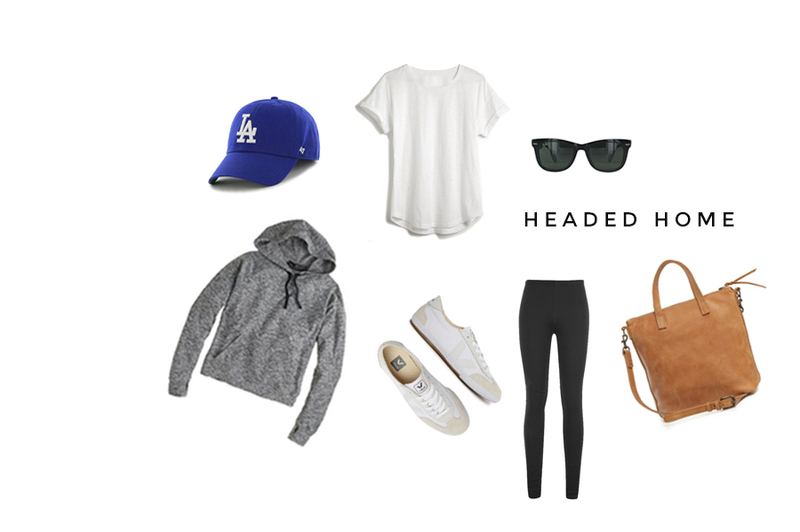 Quick question- does the hoodie you packed run longer or shorter? Nashville is on my bucket list to visit! Looks like a great trip and can’t wait to check out this city in my future! I’d love to hear more about how you cultivate creativity/water the grass where you are! I was at a conference recently where I felt so energized being around my tribe, but now back at home I find it much more difficult to keep my creative energy up as I connect online with colleagues and rarely in person. Sounds like such a fun trip! Perfect list for a short trip! I’m curious about those Girlfriend leggings. Do you recommend those? Do you prefer them to the Zella brand at Nordstrom? Have you tried their bras? I just recently started using the Rahua voluminous shampoo and conditioner on my search for a green shampoo and conditioner for thinner hair and have loved it! Fun feature! I live in Nashville and have yet to visit some of these places! Adding to my list. We have a great community of passionate creatives here, but in the end it’s about where your family is. Mine are right outside of Nashville so it’s a win-win. We started a family this year and being close to mine has been SO valuable. More valuable than living in a cool city. ;) Keep doing your thing! God, I missed your long posts! Nashville sounds great and it looks you had a blast with your girls! I never been to US but Nashville is on my list for a long time now, next to Seattle, New Orleans, San Francisco and Houston. Sometimes I feel that the grass is greener in the other side but then I remind myself that if you really want that “thing”, you can make it in your own place, life, relationship, etc. You need to keep searching for that feeling that makes you content to what you have, the others see the same thing in you, that the grass is greener on your side, try to make the best of it! Hey there! Lovely post! I’m curious what color / size you chose in the Petra Crop? I’ve had my eye on that since the Spring release. Love the way you list and then show box-pictures of pieces. So clear! 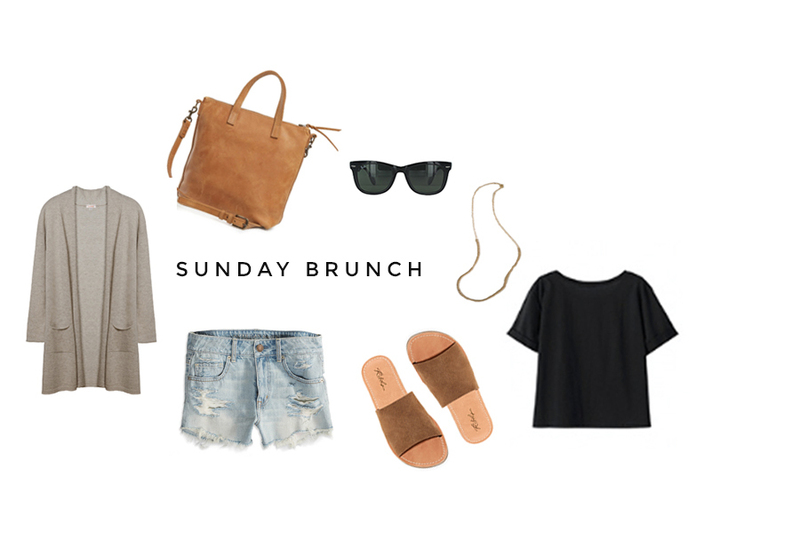 Great ideas— 2 lounge & 2 to wear out! Why have I not packed that way?!? Will be doing that for sure. QUESTION: How do you like the Fashionable Bag? How does it compare to the larger Fashionable (camera) tote you have? I have that one and have been looking at the one you posted here. 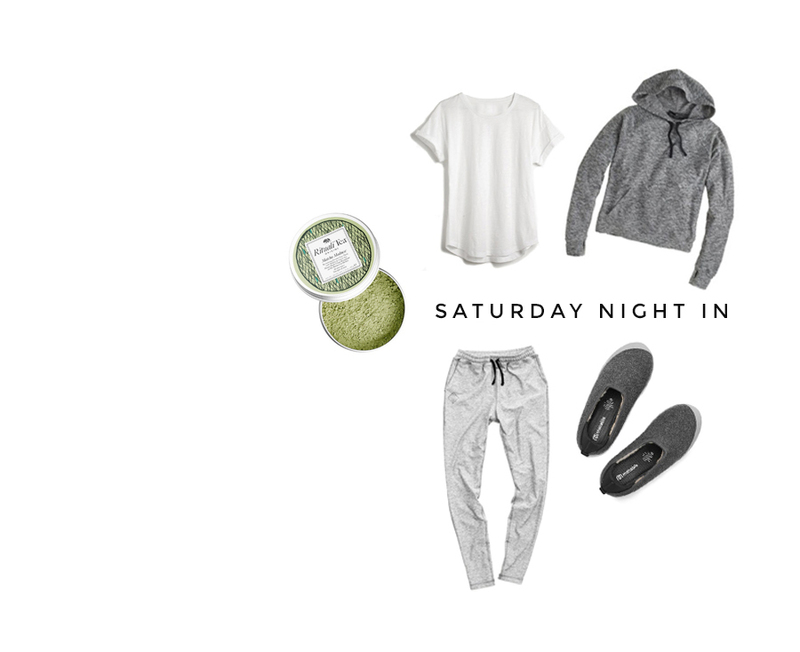 Have you ever done or will you be doing a “work out/athleisure” post? I feel like most work out clothes are all super bright, or have weird patterns/cut-outs, so all my work out gear is black or gray. Do you feel like you hold true to your personal “style” when it comes to work out wear? What are some of your favorite brands? Hey Elizabeth, I guess I haven’t technically done a workout/athleisure post! 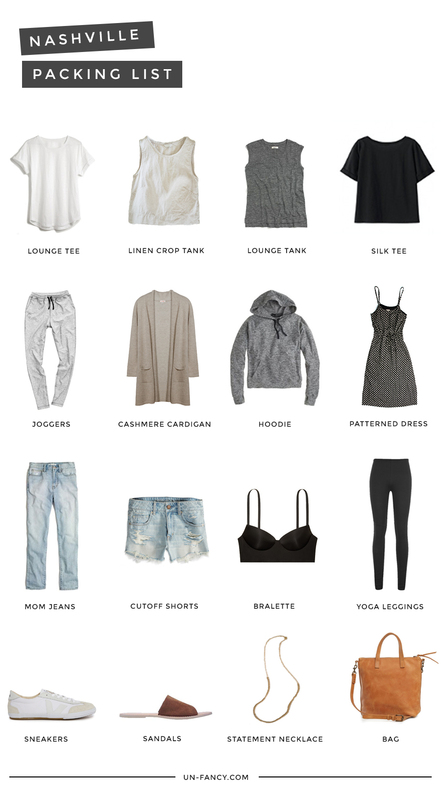 I’ve highlighted some of my pieces during travel and in my loungewear capsule. Wonderful post! I want everything that you wore! Would you say Veja sneakers are true to size? We were just in Nashville too! 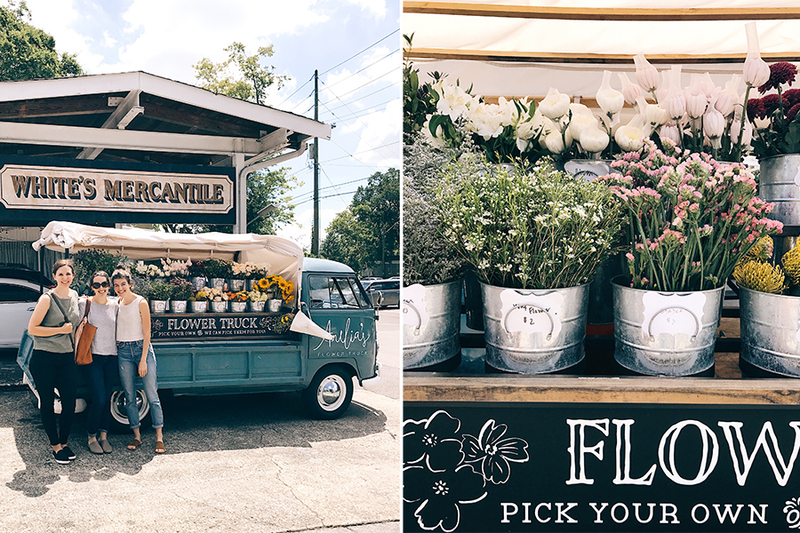 I just wrote about going to Amelia’s Flower Truck on my blog. It’s the cutest, huh. wanderonhome.com/home/2017/8/8/my-new-fave-place-in-nashville is the link. How do you like your OV sweatpants? I’m thinking of getting them. Are they jogger joggers or more like slim fit sweatpants? How’s the color? Do they look okay in the bum area. I got the Anya pants from Patagonia but I think they might be a bit frumpy in the bum so I was thinking about returning them and these are an option. Caroline, I’m wondering if you have any more info about how Outdoor Voices is responsibly made. I have been trying to find clear information on them for a while since their stuff is so cute but haven’t actually seen anything that specifically states they have fair labor practices or anything like that. Do you have any insight? Is the Bra see through wth the white shirts? Oh ok! I thought you had the black bra from VS and I was curious if you wore a bando over it or something… i have a white everlane tee and I am struggling finding a bra to wear under. Was going to try to bra you had on this post! I love Nashville! My best friend lives there (she works at the FashionABLE flagship!) and we’ve gone to a lot of great restaurants. I recommend Mas Taco (true Mexican cuisine), Bar Taco, A Matter Of Taste (all gluten-free and so good), Baja Burrito, and Vegan Vee’s (AMAZING). Great post! FYI, Dermstore has Rahua and is part of their 25% off sale through 8/12. I look forward to reading every single one of your blog posts! Nashville has been on my list to visit for awhile and now I for sure want to go! Nashville looks like a dream! like you said, my bucket list just grew longer haha. and that E. Suzann sale is SO COOL!! Hi Caroline!! I’ve been following your blog for a few years now and have always been intrigued by your capsule wardrobe. I recently downloaded Cladwell and got started with mine (…although it’s a bit large, quality-wise, to be a “capsule,” but we all start somewhere right?). I’m so excited about it! Day one with it has been a total blast. I’m also very happy that you’re giving such a huge importance to responsible manufacturers. If ever you find yourself in New York, you should check out Zero Waste Daniel. He’s a Brooklyn-based designed and he only uses clothing scraps to make his clothes. It’s amazing and I think you might find it fascinating! Your blog has really inspired me to pare down my wardrobe. I’m pregnant now so kind of limited in clothing, but hope to do a capsule come the new year once I have the baby. I was so proud of myself as I packed light for the first time in my life for an 8 day vacation last week. Due to cheap airline restrictions, my husband, daughter and I only wanted to pay for one suitcase that couldn’t weigh more than 40 pounds. I never would have been able to do this before, but this time was successful. I wore every piece I brought, except one. My only regret was not bringing some warmer, comfier lounge clothes, but there’s always next time. Thanks for all the insightful advice! Ooh, you lucky thing, being there for the ES warehouse sale! I imagine that linen is pretty wide, so with 2 yards you could make a dress… The tutorial someone has posted above is very simple but I don’t think it’ll give you the quality of finish that you look for in RTW – the neckline finish worries me especially! I haven’t used it myself but a lot of sewing bloggers rave about this pattern: http://www.sewdiy.com/shop/lou-box-top-pdf-pattern; here it is modified into a dress: http://sweetkmblogs.blogspot.co.uk/2017/08/lou-box-top-as-dress.html . And Kelly has made a few ES-style pieces using the free Grainline Studio Hemlock pattern (heavily modified) – scroll back through her feed to see: https://www.instagram.com/cutcutsew/ . Good luck! I am always curious at how you get around? Public transportation, rental car, or your friend? Nashville is definitely on my list but have never figured out if I would need a car to get about. Will be adding your recommendations to my itinerary! So cool you stopped by my city! Saw your insta stories. We were hanging out around 12 South that day, too! Grabbed coffee at Frothy Monkey, stopped by Imogene and Willie and everything! Thought about heading over to ES for the sale, but plans changed. Glad you had fun! Totally feel the “grass is greener” vibe whenever I’m in Austin (I live in San Antonio, #keepsanantoniolame) but I have to remind myself that I like visiting but I don’t think I would enjoy the day to day living aka traffic. It’s hard to keep things in perspective when visiting a cool city! I came upon this post from Pinterest after coming home from vacation and not wearing half of what I packed. We recently “de-junked” and simplified our whole house…except for our closet. You make dressing with a capsule wardrobe look so easy, I’m ready to pull everything out and give it a go! 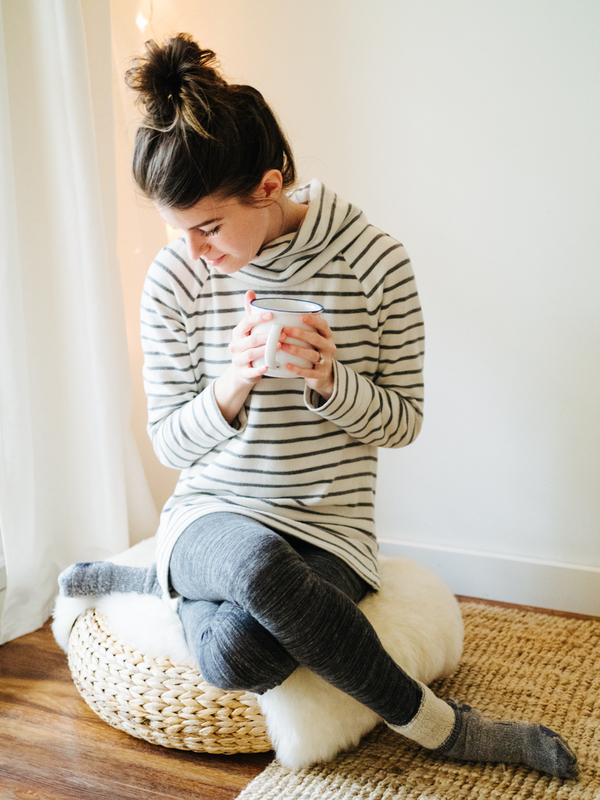 I love following your blog and Instagram – so inspirational in so many ways! My son and I are going to meet for a weekend together (he’s in college in NYC and I live in Portland, OR. We have narrowed our destinations to two cities, neither of which we’ve been to before. Quick question: Nashville or Austin? AND, where should we stay if we want to be in the middle of it all and walk as much as possible?